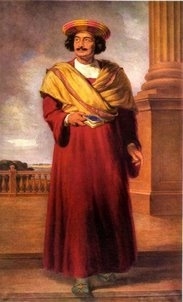 Ram Mohan Roy was a man of exceptional intellect and knowledge. His name is a symbol of the XIXth century Renaissance in India. He dedicated his life to the resurgence of his country and people on the fringe of the Modern Times undertaking a wide range of initiatives in which Roy combined his reverence to the wisdom of Indian tradition and the conviction of the need for a change in tune with the new realities in the world. No wonder that Ram Mohan Roy was called „Father of Modern India”.